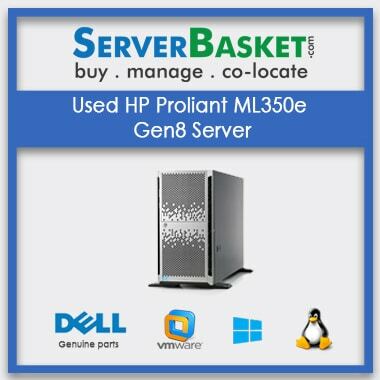 Get the Refurbished HP ProLiant DL380p Gen8 server from Server Basket for a fraction of its original cost of the brand new one, and experience its exceptional performance under a wide range of workloads. 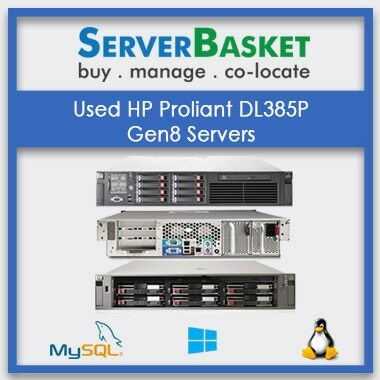 HP DL380p Gen8 Server is claimed to be a versatile server as it can adapt and expand to the changing business requirements. This refurb server is 100% genuine, quality tested and certified. The HP DL380P gen8 server is a 2U, dual socket server that supports for up to two Intel Xeon E5-2600 series CPU that includes Intel XeonE 5-2697 v2, E5-2695 v2, E5-2643 v2, E5-2637 v2, E5-2609, E5-2603, E5-2643 PRocessor for up to 12 cores. These series of processors have built-in power capabilities that enhance performance, secure your business data and energy efficiency of your data center. Each of the Intel Xeon E5-2600 processor sockets has four memory channels that support three DIMMs combining to the total of twelve DIMMs for each processor. 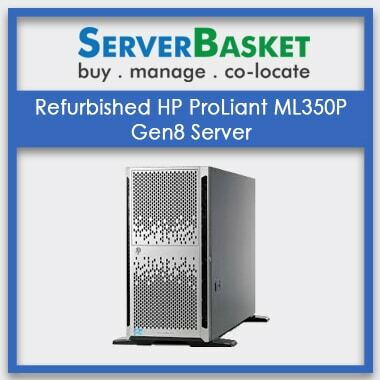 With its improved performance, configuration flexibility, storage scalability, memory expandability, and energy efficiency, the HP DL380P server is said to be an ideal consideration for any kind of businesses which is capable of performing a wide range of workloads. 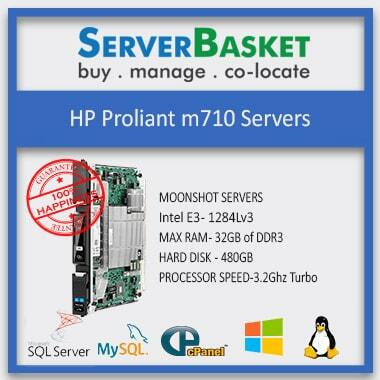 The HP ProLiant DL380p Gen8 server has a great storage expandable capability. It supports HP smart array of RAID 0, 1, 10, 50, 6, 60 P420i controller with up to 2GB flash-backed write cache (FBWC), up to six PCIe expansion slots of five 3.0 and one 2.0 slot. HP DL380p Gen8 server support internal storage of up to 2X600 GB and 2.5-inch SFF and 3.5-inch LFF SATA, SAS or SSD drives. The HP ProLiant DL380p Gen8 server supports virtualization while making your IT costs to cut-down and increase the physical server space. For virtualization, the HP DL380p Gen8 server has both internal USB and SD memory card slots. The network options have also been enhanced as the FlexLOM cards slot is available at the back part of the server. We at Server basket provide round the clock technical support services. Our support team will be available through live chat for responding and resolving all the server related issues or queries. You can also contact for the support via phone calls or emails. 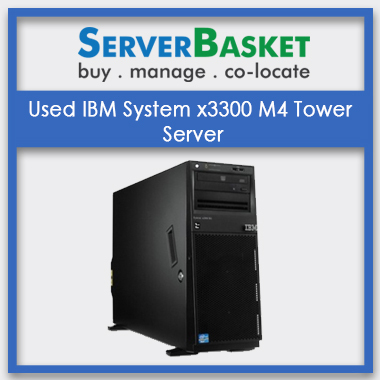 Server basket is known for its best support service provider in recent times. 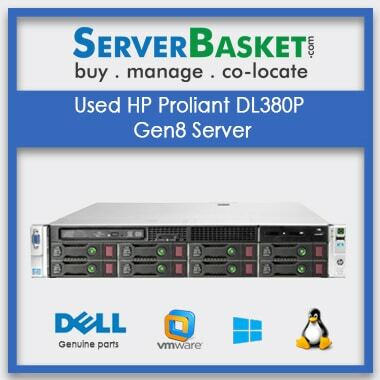 The refurbished HP DL380P Gen8 server comes with 1-year warranty services. The warranty services include the replacement of the failed server spare parts, the warranty cover for barebones is 90 days from the date of purchase. You can seek for the warranty services under the warranty period and get the work done by contacting us. Along with this, you also get 90 days warranty on the chassis and the motherboard of the server. There are no shipping charges for this server. I am with the service. I refer my friends. Thank you serer basket for providing such a wonderful service. For my refurb server, I have only one power card. I request support team of server basket. Based on my issue they resolve my issue.